There are many orthopedic surgeons today and they are specialized in the treatment of the musculoskeletal system. Orthopedic surgeons need to possess a certain set of traits that sets them apart from other surgeons. They need to know every single aspect of the musculoskeletal system and they will need to perform surgeries to repair any injuries or damages as well as improve any functions. They need to have good physical strength, mental strength and flexibility. An orthopedic surgeon needs to possess tact and sensitivity. Patients will go to him thinking that they know what is wrong with them. But the surgeon is the one who really knows it medically and advise on the best treatment possible. The surgeon will need to bring across it in a simple way without huge medical jargons and tell the patients what are the things that are going wrong and what he need to do. Most of the time, he will need to share bad news with them. Thus he needs to be sensitive and show empathy. Different patients have different recovery speed and time and an orthopedic surgeon must always be flexible and prepared for any changes. The surgeon may have had a patient of similar condition before but he must know that they will recover different and react to treatments differently. Patients may sometimes choose for a different course of action rather than the one the surgeon recommended due to reasons such as cost. Surgeons must then put themselves in their patient’s shoes and help them find the best medical action based on his means. An operating theatre is very stressful and fast paced and can have many unpredictable situations happening at times. Thus, a good trait of an orthopedic surgeon is the need to stay calm amidst stressful situations and finish the task at hand. Patients will also feel more comfortable when they see that their surgeon is calm. Whoever wants a surgeon that is easy stress out? Orthopedic surgeons need to be dedicated to both their work and their patients. They have to work long hours that requires them to be on their foot. They can be re-called back to the hospital when there is an emergency and they need to give up some of their personal time with their loved ones. They also need to visit patients and their families and explain to them the entire surgery process and have a discussion with them to answer their doubts. 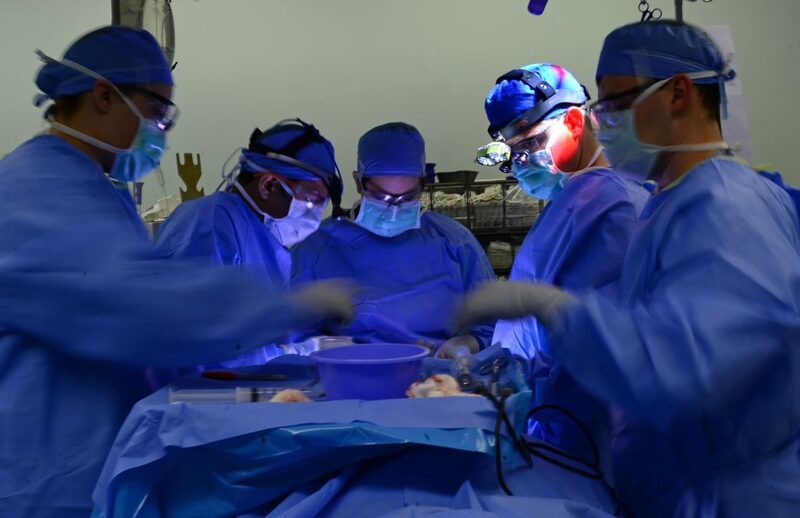 Orthopedic surgeons need to have excellent eye-hand coordination as their surgery involves the usage of equipment such as power saws to drill through bones. A successful surgery can only be done if the surgeon has fine motor skills that allow him to carry out his surgery with the aid of equipments. Orthopedic surgeons use equipments such as power saws for their surgery which are heavy. As such, they need to possess physical strength to operate them. Many amputations require the usage of saws to cut through the thick bones. It is not easy to find a good orthopedic surgeon that possesses all the mentioned traits. An orthopedic surgery is not a small one and extra effort should be done on the patient’s part to find the best available. The patient can always ask their friends for any recommendations and take their own time to decide on the surgeon to carry out their surgery. After serving our community for over 50 years, we are dedicated to providing the very best in orthopedic care.